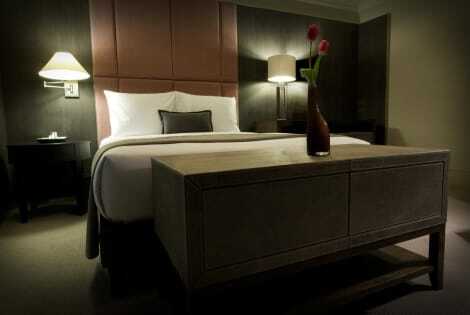 Make yourself at home in one of the 42 air-conditioned rooms featuring flat-screen televisions. Complimentary wireless Internet access keeps you connected, and cable programming is available for your entertainment. Bathrooms with showers are provided. Conveniences include phones, and housekeeping is provided daily. Located in Mexico City, Hotel Riazor Aeropuerto is in the historical district, within a 10-minute drive of Foro Sol and Mercado Jamaica. 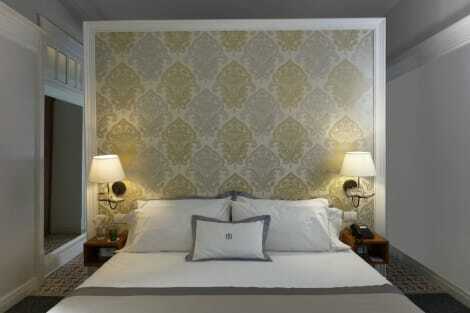 This hotel is 3.2 mi (5.2 km) from Autodromo Hermanos Rodriguez and 4.1 mi (6.6 km) from Zocalo. Take advantage of recreation opportunities such as a 24-hour fitness center, or other amenities including complimentary wireless Internet access and concierge services. Additional features at this hotel include wedding services, a television in a common area, and a ballroom. 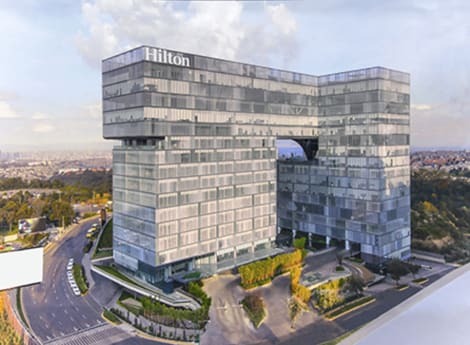 Enjoy spacious accommodations, modern business and leisure amenities and a central location in the SAMARA complex when you stay at the Hilton Santa Fe - Mexico hotel. 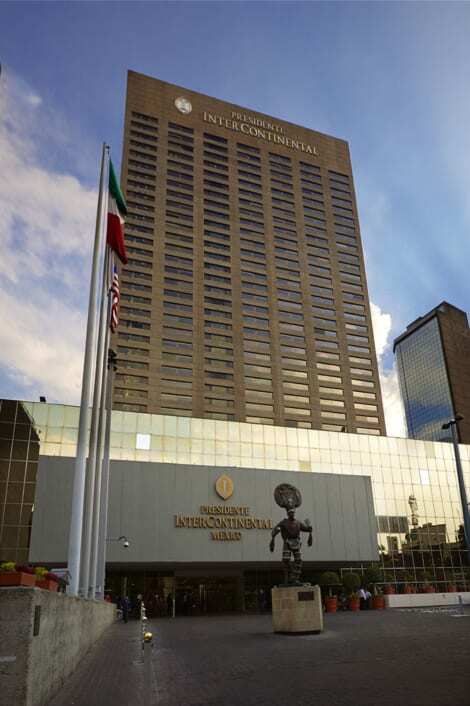 Only 40 minutes from the Benito Juarez International Airport and one hour from Toluca Airport, this contemporary Santa Fe hotel is close to a number of major corporations and business facilities, including Ericsson, Chrysler, Sony, IBM and Bancomer Convention Center. The hotel is also within walking distance of many attractions and leisure options, including shopping malls, international restaurants and cinemas.Unwind in a spacious guest room or suite at this stylish Santa Fe hotel with a range of amenities, including ergonomic work areas, WiFi and 27-inch HDTVs. With seven flexible meeting spaces, all offering the latest A/V technology, this modern hotel is ideal for successful business meetings and conferences in Santa Fe. A complimentary, 24-hour business center offering a range of services and amenities and a professional team of staff are available, to help ensure a flawless event.Relax with a drink in the Lobby Bar, before enjoying dinner in our onsite restaurant, La Madera. Work out with the very latest exercise equipment in the modern, 24-hour fitness center or energize with a dip in the indoor swimming pool. 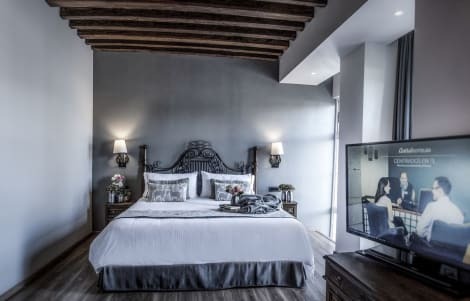 Located in Mexico City (La Condesa), Hippodrome Hotel Condesa is within a 10-minute drive of Paseo de la Reforma and The Angel of Independence Monument. This 4-star hotel is 2 mi (3.3 km) from Museo Nacional de Antropologia and 2.2 mi (3.5 km) from World Trade Center Mexico City. A complimentary continental breakfast is served daily from 8:30 AM to 10 AM. Grab a bite to eat at one of the hotel's 2 restaurants, or stay in and take advantage of the 24-hour room service. Snacks are also available at the coffee shop/café. Quench your thirst with your favorite drink at the bar/lounge. Full breakfasts are available daily from 7:00 AM to 10:00 AM for a fee. lastminute.com has a fantastic range of hotels in Mexico City, with everything from cheap hotels to luxurious five star accommodation available. We like to live up to our last minute name so remember you can book any one of our excellent Mexico City hotels up until midnight and stay the same night.